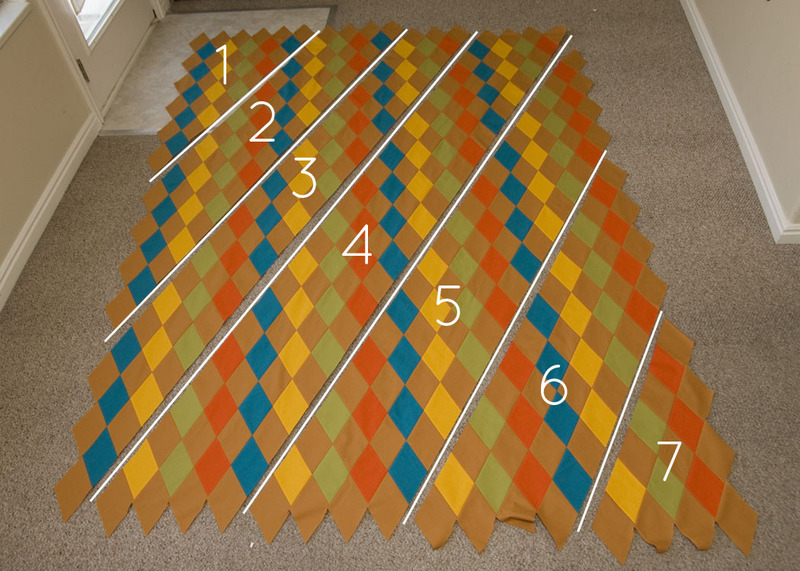 I find it easiest to sew the center section first and work out to the opposite corners. 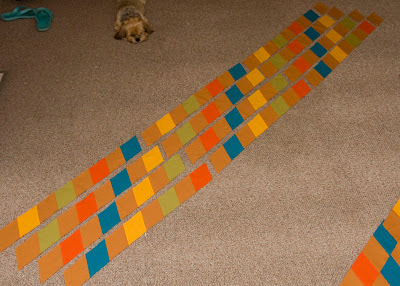 This is the longest section of the quilt, running the full length and width of the quilt. You'll piece the section as shown. Row 1: Piece three B strips, end with one extra diamond in M.
Row 2: Piece three C strips, end with one extra diamond in M.
Row 3. 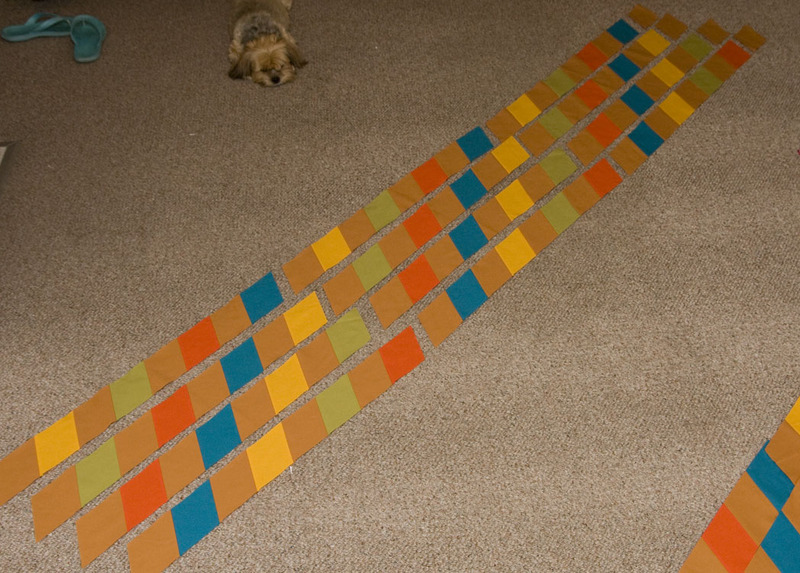 Piece three D strips, end with one extra diamond in M.
Row 4: Piece three A strips, end with one extra diamond in M.
Piece individual strips together, end to end. Make sure to offset slightly. Sew full strips together, again pressing seams open. 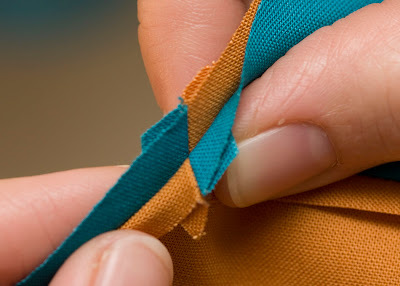 When sewing the strips together overlap the seams as shown. Getting the points to meet takes a bit of trial and error. 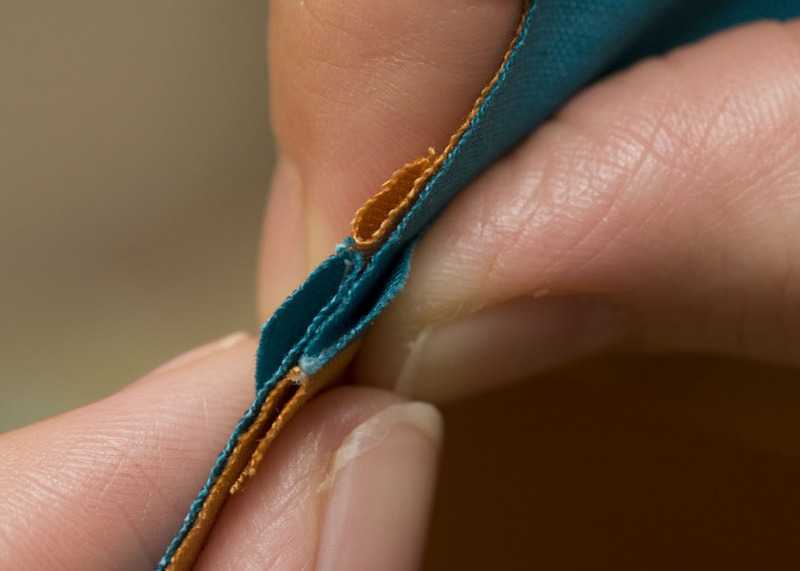 A 1/4" piecing foot with a guide is very helpful when sewing diamonds because it helps keep the seam allowance as consistent as possible. 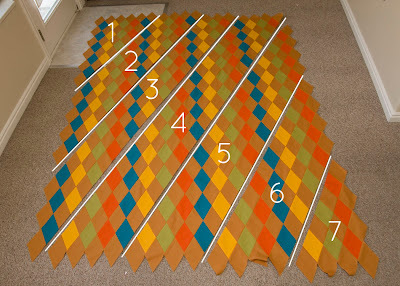 This will make it easier to get the points to meet when sewing.